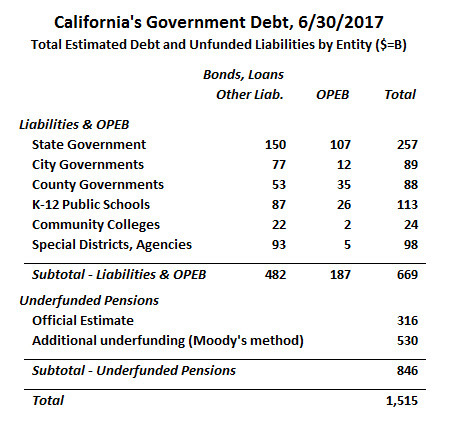 The personal responsibility for the crisis that WILL hit California lies squarely on the shoulders of the States voters. The information/facts have been out there for years but they just refuse to understand that the individual voters who have voted for Brown/Newsom are the ones who perpetuated this disaster. How many of those voters actually lived in CA during the last elections? We frequently read how stupid they must be, to repeatedly vote for economic ignoramuses (ignorami?) with social justice axes to grind. I feel no surprise at the reports that, at least in LA, the voter rolls listed more names than resident adults. So, the stupidity obviously lies with voters who have passed on to a better place, either into another state or into a better place. He is following in the footsteps of Obama…Share your wealth that you worked for with all these little snowflakes that think that their parents should continue supporting them through Taxation!!! Under the Dimocrat budgeting methodology, the surplus is in one hand and we only count THAT…. The liabilities are in the OTHER hand and we don’t count that….